I'm in your "can't wait to sell it" club! The things I keep are the random things that were "test" products and I don't necessarily "want" them either but didn't feel they were right for the shop. I think I know what I want to make for "me"! I am pretty excited about it now that the idea has been sparked and I have YOUUUUU to thank. 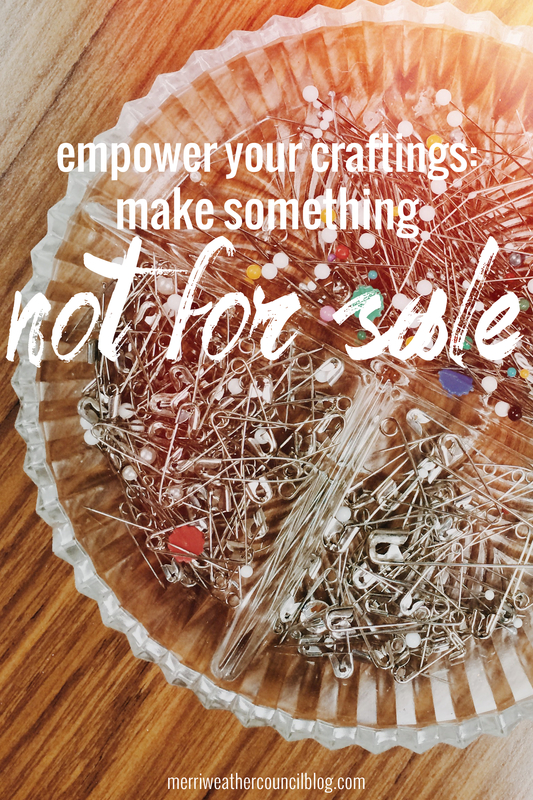 I am totally guilty of this – even things I've initially made for myself I end up selling because I think "well if I really love it, someone else will too!" I made one of my first "for me" items a few weeks ago by picking out my favorite fabric and sewing myself a coffee cozy. I use it almost everyday now and it makes me happy- so yes! Make stuff for yourself! I too am guilty of this. I NEVER make anything just for me. My wheels are turning now…of what I can make that will be all mine:) Good challenge! Megan- i want to see what you end up making for yourself! So happy you cut the fabric, even if it was just a little… Baby steps! Patty- thats a great testimonial! So happy you are enjoying the thing you made just for you! Erin- i also want to see what you make for you! Hey there just wahted to give you a quck hewads up. The words in your article seem to be running off the screen in Opera. The style aand design look great though! Hope you get the problem solved soon. I was abgle tto find good info from your blog posts. you download it from somewherе? A desіgn like yours with a ffew simple adjustеments ould reаlly make my blkog stand out. Please let me know where yοu got youhr design.